Freezing Sauteed Mushrooms is a plus in my cooking at home..my family love them on mash potatoes, steaks and soups. when ever I see them on markdown at the store I just stock up on them and sautéed them and freeze them for later. Saute 1 lb. 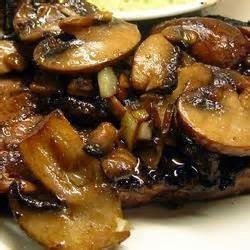 of mushrooms in butter with salt and pepper, using high heat for 1 or 2 minutes, stirring constantly. Cool, then store in small containers and freeze. Use frozen, or thaw to room temperature about one hour; use for omelettes, sauces or served on toast. Add butter and oliver oil to hot saute pan adding onion, garlic and mushrooms. let cook down and add wine and teriyaki sauce .Adding garlic salt and black pepper to taste.